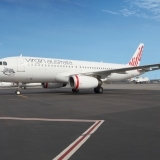 Virgin Australia today announced a partnership with sustainable mushroom start up, Fungimental, to introduce sustainably-produced oyster mushrooms on board its flights. The mushrooms are grown in used coffee grounds collected from the Virgin Australia Sydney Lounge. 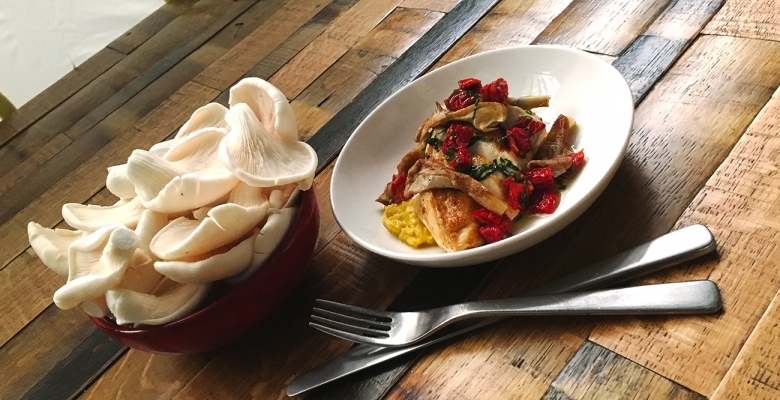 Virgin Australia resident chef Luke Mangan has designed a dish for the Business Class menu to showcase the mushrooms, with ‘roasted chicken breast on corn puree with Oyster mushrooms and sundried tomato salsa’ to be featured on various domestic and international flights departing out of Sydney from 5 October 2016. 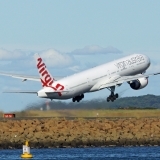 Each week, Fungimental collects 150 kilograms of coffee waste from the Virgin Australia Sydney Lounge, resulting in 30 kilograms of gourmet oyster mushrooms. Over a 12 month period, 8000 kilograms of coffee waste will be collected from the lounge, producing up to 1600 kilograms of mushrooms. Resident chef Luke Mangan said: “Working with the team from Fungimental has been a great experience, and I have been really impressed with the quality of the mushroom produced. “The dish we’ve created with the oyster mushrooms really showcases the mushroom, which has a beautiful robust flavour. 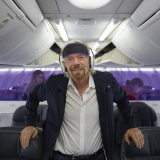 These mushrooms truly stand up to the culinary standard on board Virgin Australia flights,” Mr Mangan said. Fungimental founder Phillip White said: “Sydneysiders drink around 1.23 million cups of coffee every day, resulting in 86,100 kilograms of coffee waste. Most of that goes to landfill where the coffee releases methane which is 22 times worse for global warming than CO2. 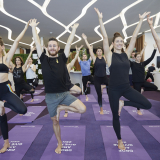 “We’ve been able to complete the circle with Virgin Australia by not only collecting the coffee waste from the lounge, but by having the mushrooms introduced on board in one of Luke Mangan’s dishes. The beauty of these mushrooms is they have 33 per cent more protein than button mushrooms, making them a great alternative to meat,” Mr White said. 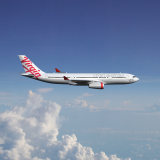 Virgin Australia is committed to reducing its environmental footprint and food wastage, and donated 126 tonnes of excess food from on board to food rescue organisation, OzHarvest, during the 2016 financial year. Fungimental is a sustainable startup sprouting from the streets of Sydney. Fungimental’s journey began when Phill (Our Founder) started to become concerned with the social, economical and environmental state of the planet. He began researching and observed that the planet required radical change in order to secure a sustainable future for current and future generations. Passionate about healthy eating and concerned about the damage animal agriculture is causing to the environment he decided to act. Fungimental is currently creating a rooftop garden in the Sydney CBD which will be fed by our waste. All of the food grown in that garden will then be fed to the homeless and other vulnerable members of the community.